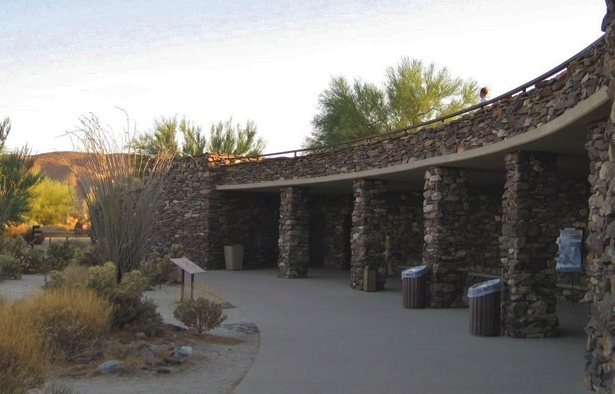 Join State Park Volunteer Naturalist and Botany Society President Terry Hunefeld to spend the morning exploring the desert with a special emphasis on wildflowers and the animals that live amongst them. Our itinerary will be determined based on where it’s “happening” at the moment and will include driving on dirt roads and hiking up to 2 miles at a slow pace. Meet Terry at the flagpole by the restrooms in front of the Visitor Center at 6:25 a.m. Pre-registration, closed hiking shoes, water & hats are mandatory (no exceptions). 4WD or high-clearance AWD required (Terry has room for 4 passengers – specify when registering if you would like to ride with him). Limited to 14 participants who must have signed up at the Visitor Center or pre-registered by calling 760-767-4205. Join Park Interpretive Specialist Regina Reiter for a family hike through Little Surprise Canyon. We’ll walk to the canyon’s end, climb out onto the ridge above and circle around back to the parking lot. It’s a short, strenuous walk for adventurous hikers! Kids 7-12 will receive their Junior Ranger badge. Water and sun hat are required. Hike rain or shine. Limited to those who have signed up at the Visitor Center before 1 p.m. today! Meet at Hellhole Canyon Parking on S-22, west of Borrego Springs. If you have one, bring your California State Parks Junior Ranger Logbook! Though poorly understood and often feared, bats are fascinating animals with incredible skills of flight and nighttime navigation. Join Volunteer Naturalist Don Endicott at the Borrego Palm Canyon Campfire Center for a multimedia exploration of these amazing fliers.